Size of this preview: 800 × 564 pixels. 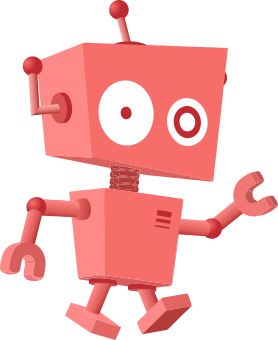 Other resolutions: 320 × 226 pixels | 1,343 × 947 pixels. 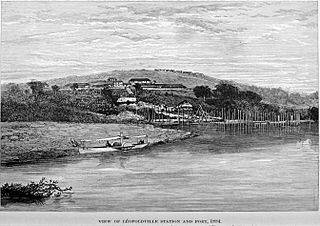 Description: View of Leopoldville Station and Port on the Congo River, 1884. Baptist Congo-Balolo Mission on the summit of Leopold Hill. 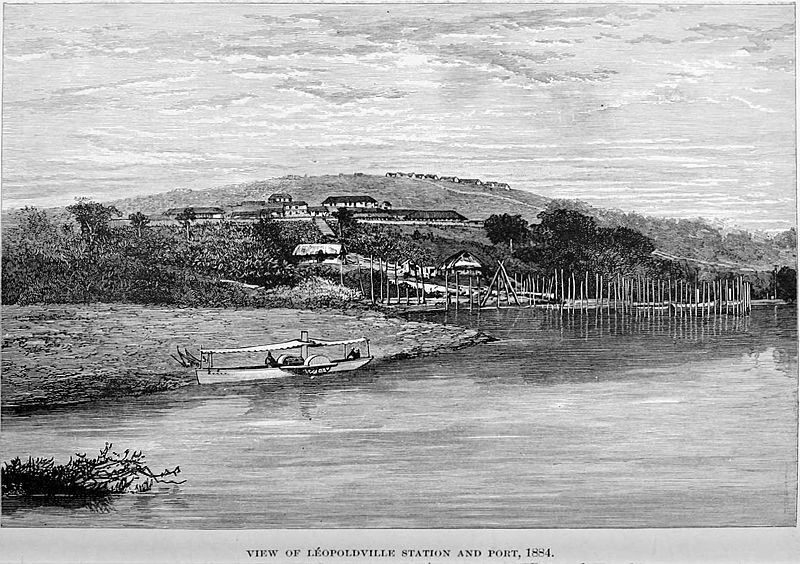 Pictures excerpted from HM Stanley's book "The Congo and the founding of its free state; a story of work and exploration (1885)".